The crew that brought you the Arduino is always hard at work trying to bring the community closer together and to foster collaborative development. They recently rolled out a new feature on their site that is sure to be of interest to Arduino veterans and neophytes alike. 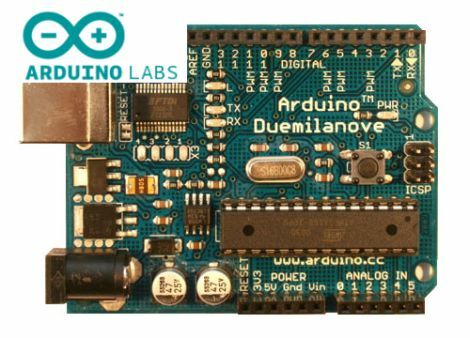 Arduino Labs is a platform which the team plans on using as an incubator of sorts, for projects that are underway, but not fully baked. Currently, they have highlighted two in-progress initiatives, including the Arduino Mega ADK, as well as a GSM/GPRS shield that the team has been developing in collaboration with Telefonica I+D. As of right now, the site looks to be a one-way information outlet for the Arduino team to the community, but they stress that their aim is to create a more open development process within the Arduino project. While there is no official statement on the matter, we hope that the site will eventually allow members of the community to offer both their feedback and lend manpower to forthcoming projects. Is This not the official statement for it? Or something like it? Or am i misunderstanding what you wrote? Which is highly possible. That is indeed the official statement. I can see how what I wrote could have come across in a confusing manner. I would speculate that it will become the latter, which will most definitely benefit the community as a whole. This sounds like the start of rules requiring all libraries written for Arduino to be hosted on their server. “If it’s not on Labs, it’s not an Arduino Library” kind of thing. They have been know to be quite protective over their name and send lawyers after anyone using it, so I wouldn’t put it past them. I do like Arduino and have written popular libraries for it (some featured here and on their blog) but I don’t want to be forced to use their hosting. Their wiki (Playground) has worked quite well in the past for allowing people to find useful libraries, I don’t see why this is needed. Next they will start saying that it’s not an Arduino library if it’s not given to them to host. We at #arduino on freenode has tried to get the channel official for some time now, but they refuse to do so because they want all communication to be done via their forums. Anyway, for those who dont want to wait 2 hours for a reply, come join us at #arduino @ freenode, we got lots of guys who want to help/need help.